This metal bracelet looks as if it's been crafted by hand in an artist's atelier – and who wouldn't want to wear a work of art? 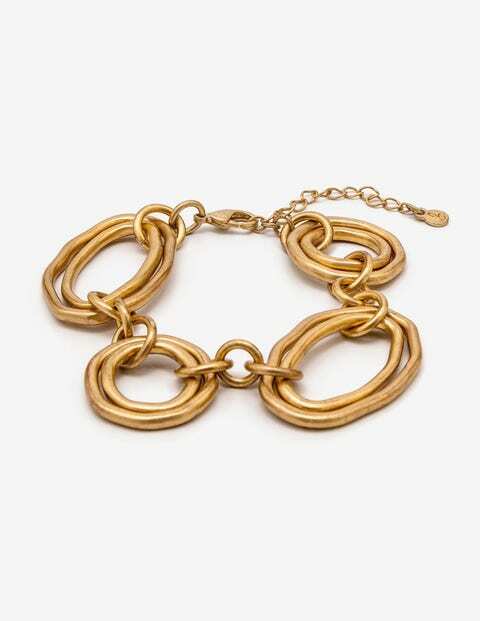 Paired with our Layered Shape Necklace or worn alone, this characterful piece is guaranteed to catch the eye. The only question is whether to pick gold metallic or silver metallic (or both – we won't judge).